Lenovo announced the ThinkPad T431s, a new thinner and lighter 13" ultrabook with a 1600 x 900 pixel resolution. The base configuration ships with an Intel Core i5-3337U 2.7GHz processor (i7 models also available), with integrated graphics, 4GB DDR3 (max 12GB) a 320GB 5400RPM HDD (SSD optional), 720p HD front webcam, Bluetooth 4.0, WiFi, WWAN, optional backlit keyboard, two USB 3.0 port, a 4-in-1 memory card reader, and either Windows 7 or 8. Set to be available in April, the system has a base price of $949. "We obsess over the pursuit of perfection - as evidenced by more than 20 years of Lenovo ThinkPad design and engineering accolades. However, perfection cannot be achieved without a key ingredient: customer insight," said Dilip Bhatia, vice president and general manager, ThinkPad Business Unit. "The ThinkPad T431s is the first device featuring Lenovo`s new design, which represents a comprehensive examination of user experience and input." Extending beyond traditional customer interaction, Lenovo conducted extensive research with NetGen, non-ThinkPad users and ThinkPad loyalists around the world, to gather detailed feedback on ThinkPad design. Over nine months and in multiple countries, researchers spent thousands of hours shadowing users in their homes, workplaces and remote locations, observing user behavior and asking questions. The results of this extensive research have directly contributed to the new refined design, which include technological enhancements and innovative upgrades including a new trackpad with click functionality and an incredibly thin display bezel. Streamlined Interior: Lenovo updated the award-winning ThinkPad precision keyboard by improving key placement while maintaining shortcuts for a sleeker-looking keyboard, designing the display with a super thin bezel, and debuting a new Graphite Black color. Enhanced trackpad experience: The new ThinkPad trackpad is an evolution of the TrackPoint and TouchPad featuring a new larger, smooth, responsive, multi-touch glass surface that optimizes Windows 8 gestures, click functionality, and integrates TrackPoint behavior to deliver a customized, improved experience for all users. Thinness, Durability, Reliability: The ThinkPad T431s, the thinnest and lightest T series ever made and the first device incorporating the new design elements, weighs just 3.6 pounds (1.63kg) and measures only 0.82 inches (20.6mm) thin. The carbon fiber top cover and magnesium exterior continue ThinkPad`s heritage of business-class rugged design and durability. The T431s is powered by Intel 3rd generation Core processors with Turbo Boost, features improved Intel HD Graphics, up to 12 GB of memory and additional HDD and SSD storage options. The T431s has a 14-inch HD+ (1600 x 900) anti-glare display, two USB 3.0 ports for fast data transfer. The T431s is also available with Intel vPro for easy device management, supports ThinkPad docking, and provides enhanced security that commercial customers require. 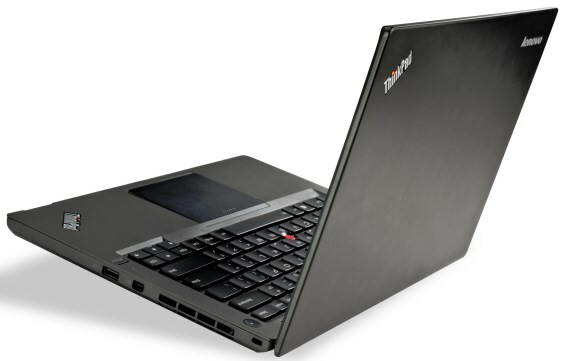 The ThinkPad T431s will be available in April starting at approximately $949.